Three to four dollars a day: That is what a person on SNAP (Supplemental Nutrition Assistance Program, also known as food stamps) gets to spend for food each day. Now, take a minute and think about it: $4 to buy food for breakfast, lunch and dinner. Could you do that? When I first heard that number, I was astounded. As a food writer, I've always supported organizations that work to feed hungry people, mostly by writing about their efforts so the public would become more involved. But when the Great Recession of 2008 cut into my income, I became very much aware of how hard it is to feed yourself well on a tight budget. Still, I managed to squeeze my fair trade, organic coffee and favorite fresh produce into my weekly food budget while buying budget-friendly beans, pasta and eggs to create my meals. I would never make it on $4 a day. I can’t even begin to imagine trying. According to Share Our Strength, 48.8 million Americans struggle to have enough nutritious food on a regular basis. Worst of all, many are children—16.2 million. That means 1 in 5 children aren't getting enough to eat. Many are able to get meals at school through free and reduced cost breakfast and lunch programs, but what about when they aren't in school? Frankly, it is incomprehensible that in 2013 there are people going hungry in this country. Today a community of more than 200 food bloggers is raising its collective voice against hunger in the United States. There is a wonderful film out now, A Place at the Table, starring Jeff Bridges, Chef Tom Colicchio, and many others, that explores hunger in this country. You can check out the trailer for the film here, and watch at a theater near you or On Demand through iTunes and Amazon. 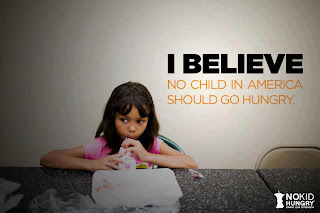 Please, please, please, take 30 seconds to click on this link and let our government leaders know we will no longer stand for hungry kids in America. I did! At this time of budget cuts, don’t let programs that feed hungry children fall under the knife. Let’s make our voices heard! Now, here’s my favorite budget-friendly meal. This Baked Ziti recipe is adapted from one I saw in the New York Times in 2004. I paid $7.72 for the ingredients. (I had the oregano, onion, and garlic in my pantry.) Since it serves 6, that amount is within the SNAP budget for dinner to feed a family of this size. When I was cash-strapped, I would make up a batch and freeze it in single serving sizes. Adapted from a recipe in the New York Times, November 10, 2004. Preheat the oven to 400 degrees F. Turn on a large pot of water to boil. Grease a 9- by 13-inch baking dish and set aside. If the Italian sausage came in links, squeeze the meat out of the casing so you are left with the ground meat. In a large skillet over medium high heat, brown the sausage and hamburger. Lower the heat to medium and add the onion and garlic. Cook until the onions are translucent and tender. Add the tomatoes and oregano. Simmer on low. Do not let the sauce become too thick. While the sauce simmers, add a good amount of salt to the boiling water. Stir in the pasta and cook until it is just tender. Don’t over cook—you want it to still be slightly too hard to eat. Set aside 1 cup of the pasta water and drain the pasta. Toss the pasta with the sauce and 1/2 cup of the mozzarella, adding some of the pasta water if the sauce is too thick. Pour the pasta and sauce into the baking dish. Top with the rest of the mozzarella and bake until the cheese is melted and brown, about 20 minutes. Great post!! Such a worthy cause! 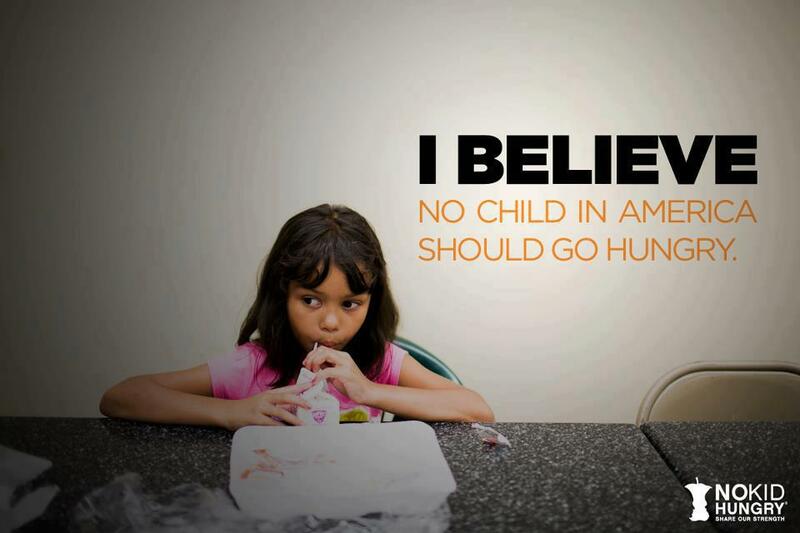 It IS a travesty that any child should go hungry in this nation AND around the world! Great post, Linda! I have joined the letter drive ... it may fall on deaf ears, but one has to push a bit for what's right. This is a fantastic dish to feed a family - very kid friendly! Beautiful! I love all of you are doing. 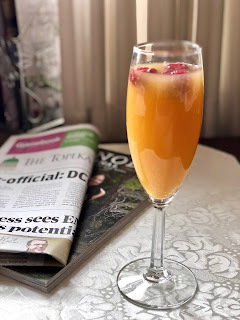 This is a family favorite and have done it often - because it is cost-friendly and family-friendly.